The World Bank has flagged the Treasury’s funding of a phased-in approach to fee-free higher education as unsustainable, saying it should move to a contingent loan income system instead. The Washington-based lender released its 12th economic update for SA on Tuesday, predicting modest growth of 1.4% for 2019, far below the expectation of emerging markets at 4.2% and the sub-Sahara African average of 3.7%. Sébastien Dessus, World Bank South Africa Program Leader, said improving access to the tertiary sector was "one of the main ways to foster economic inclusion". After four years, free higher education will add a 1% cost to gross domestic product (GDP), without improving the quality of education or the number of students entering universities the World Bank estimates. "It’s important to stress [that] if you graduate from university, you’re less likely to be unemployed," added the bank’s country director for SA, Paul Noumba Um. Following widespread protests on higher education campuses in 2015 and 2016 in demand of fee-free learning, former president Jacob Zuma ignored a recommendation by the Heher Commission of Inquiry to give students income contingent loans (people pay back their study fees after their income crosses a threshold). Instead, he announced in December 2017 that the fiscus would fund the fees for first-year students coming from households earning less than R350 000 per year. The February budget reprioritised R57bn over the medium term, or three years, to fund this, cutting government spend on goods and services as well as municipal transfers to provinces and municipalities. 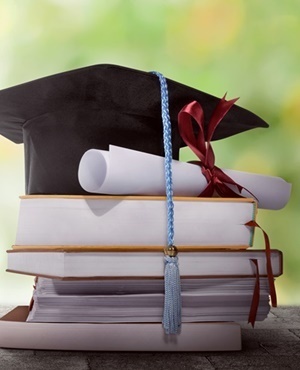 The World Bank said the higher education funding changes resulted in students on the current National Student Financial Aid Schemes (NSFAS) having their loans converted into grants. The funding is now more extensive, covering housing, books and transport, and a much larger number of students are eligible for the grants (the previous NSFAS threshold for funding was below a household income of R122 000). Dessus expressed concern that the previous NSFAS system "was more or less balanced" and government was able to recoup what it had invested through the taxation of skilled professionals, but the funding being poured into the new model is unsustainable and there will need to be policy trade-offs to continue. The World Bank advised government to improve the quality of technical and vocational education and training (TVET) colleges, as there is stigma attached to them that they only "attract" poor students. It also advised attention to distance learning institutions, such as the University of South Africa, and working with the private sector to ensure skills are matched to markets. The Heher Commission recommended that income contingent loans be provided by banks and backed by government. Dessus said the bank had not yet considered the mechanics of providing such loans. A dramatic economic rebound didn’t happen after President Cyril Ramaphosa took office in February as "growth challenges cannot be changed overnight," said Dessus, with the bank estimating economic growth of 0.9% in 2018. He said, however, that the jobs and investment summits in October 2018 "helped to bring back some sense of trust". He also noted the economic stimulus package announced by Ramaphosa, which saw visa regulations changed and greater policy certainty for mining and the information and communications technology sectors.